Every knife that you ever wanted to have or know about will eventually surface at Atlanta's annual Blade Show. 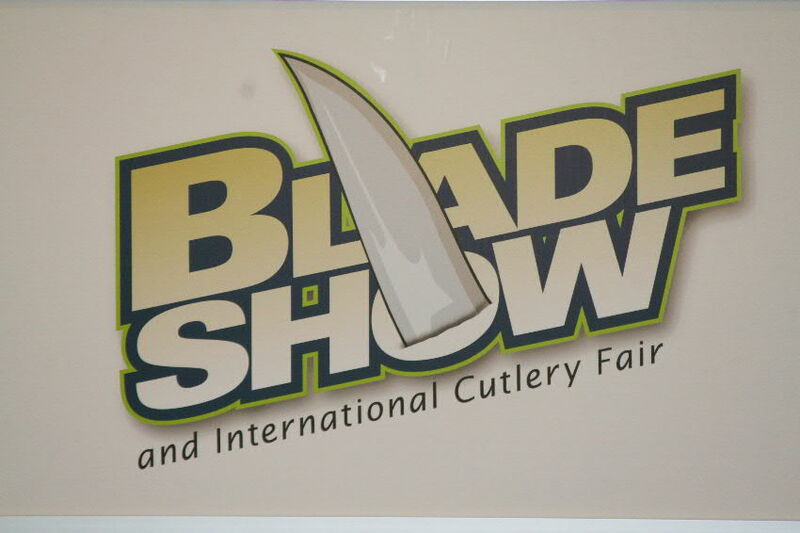 If you ever had even a casual interest in knives, a visit to the annual Blade Show, officially the Blade Show and International Cutlery Fair, held in Atlanta each June by Blade Magazine is a “must do” event. Not only were there more than 900 exhibitors of knives and related products at the 2011 show, there were also seminars, demonstrations and instructions on how you can advance from a novice to a Master Bladesmith, an internationally recognized achievment awarded by the American Bladesmith Association. This hirschfanger was made for Kaiser Wilheim II by H. Barella, the royal weapon maker, and taken from a castle by a GI at the close of World War I. Any year you can see, and be able to purchase, antique knives that are thousands of years old, historical blades that belonged to emperors and kings, the finest examples of knife making artistry from the past and present, fantasy knives from your wildest dreams or worst nightmares, working knives for any task and hob-nob with collectors who are world-recognized experts in their particular specialties. If you have some spare change you can spend $30-$50,000 on a single knife or purchase another for less than $5.00. Not only that, but if you want to build your own knives you can buy anything from wooden knife kits, finished blades of Damascus and other steels that only need to be handled or find the raw steel, hammers, forges, grinders and other equipment needed to outfit your own shop. Should you have knives to sell, there are buyers with ready cash to purchase them. Need a better example of a particular knife to upgrade your collection? You can get those too. Have you always wanted an Army issue pocket knife like you turned in after Vietnam? Those are also available, to say nothing of bayonets issued by any of the world’s armies almost anytime in history. Sooner or later almost any type of edged weapon or tool that ever existed will surface at this show. Should three days of exposure at the show only whet your interests, you can find about the Knife Museum in Sevierville, Tennessee, subscribe to one of several knife publications, purchase any number of knife-making videos or books or join a knife-collectors’ association. You can also listen to two, 1-hour radio shows @WebTalkRadio.net that I did on the event. These may be accessed through my website, www.hoveysmith.com, and click on the “Hovey’s Outdoor Adventures” link just below the banner. Part I features individual knife makers and Part II starts with a visit to Buck’s new factory at Post Falls, Idaho, and discusses knife and related companies that exhibited at the Blade Show. The next show will also be held at the Cobb Galleria on June 8-10, 2012. This 5-minute video was recorded at the 2011 Blade Show. If you have trouble in viewing it below you can also see it on YouTube at http://www.youtube.com/watch?v=Y7JfFlDJhxE. « After your church burns, then what?